SAN DIEGO, CALIFORNIA – Klinedinst Shareholder and CFO Heather Rosing has been named a Top 100 Lawyer for 2018 by the Daily Journal. The Daily Journal selected its Top 100 out of the nearly 170,000 active attorneys in the state of California. The publication published the list of attorneys after considering hundreds of nominations from members of the legal community, as well as its own editors and reporters. Rosing, a former vice president of the State Bar of California, was tapped this year to become the very first President of the California Lawyers Association. Last year, the California legislature and Governor Jerry Brown mandated that the Sections and the California Young Lawyers Association separate from the State Bar and housed into an independent education-focused entity. California Lawyers Association was that entity, tasked with reinvigorating the legal profession and providing programming to its members, while representing the interests of the legal profession in Sacramento. Rosing was one of only four San Diego attorneys to break into the statewide list. She has developed a nationwide reputation for her experience and skill in litigating complex malpractice and fraud cases, and in advising in the areas of ethics and risk management. In recognizing her as a Top 100, the Daily Journal also noted how Rosing had served as an adviser to the State Bar’s rules revision commission. The commission was responsible for introducing the first major overhaul to the Rules of Professional Conduct in nearly three decades. Rosing also an appointee to the State Bar’s Malpractice Insurance Working Group, in addition to her work as chair of Klinedinst’s professional liability department. 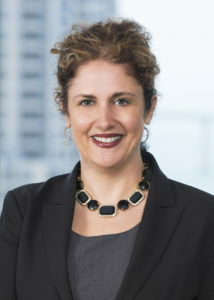 Rosing is also actively promoting diversity within the legal profession, serving as President of ChangeLawyers (formerly the California Bar Foundation). She oversaw the re-branding of the 29 year-old organization, dedicated to creating a more diverse legal profession, as well as a fair justice system for all Californians.